On May 12th, the round table conference on “ The Trend of CIGR and the Way Academic Internationalization Should Be” was held in Science Council of Japan (SCJ). 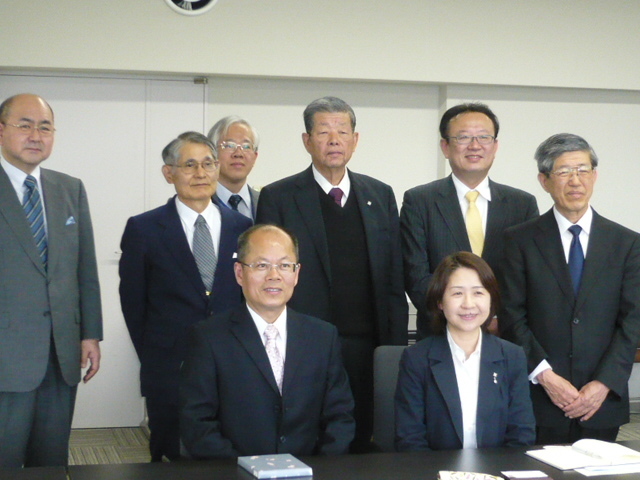 Prior to that, President Da-Wen Sun of CIGR paid a courtesy visit to Dr. Fumiko Kasuga, vice president of SCJ. The conversation started with the introduction of CIGR from president Da-Wen Sun, which was followed by the expression of appreciation to SCJ for supporting CIGR. According to his introduction, although CIGR is a relatively small-sized organization, it is formed by Regional Associations and Multinational Associations. And its special Networking System covers all over the world in this field. In addition, Technical Sections are placed for each of seven fields which are the principal axes. Besides the annual conference, the Congress is held once every 4 years and the 8th Congress is scheduled to be in Beijing this year which is already registered by 1400 people. It is stated that the Congress functions as the platform for both developed and developing countries to join the CIGR activities. Developed countries are expected to contribute to and support the developing countries. From SCJ side, Dr. Kasuga introduced SCJ and its relationship with CIGR. She also emphasized the importance of CIGR for developing countries. Both sides enjoyed active exchange of information including the discussion on the details of CIGR organization.